Ceviche One is a bold expressionist sans. Tasty, wild and delicious curves are inspired in lettering from the 1960s. 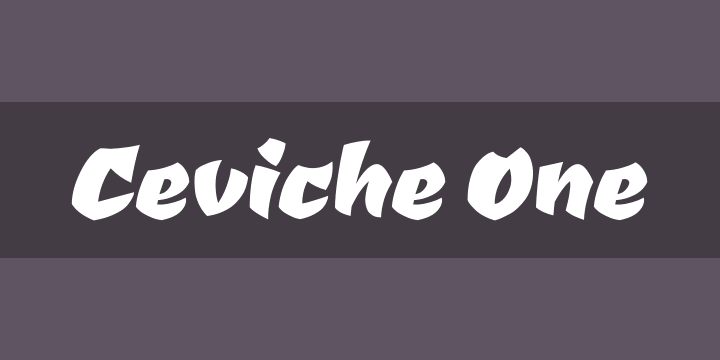 Ceviche One is a great and dynamic option for large headlines, displays and posters.